At QF32 page 23, I detailed how my father, rather than push me into any profession, made opportunities available to me and nurtured my interests. The results were profound. After deciding as a 14 year old to join the RAAF, my marks improved from a (conceded) pass to A levels. That was the power of motivation to me. Richard I wonder if your father realised when he passed on to you his love of flight, the number of lives that you and your crew would save and the number of people that you would influence through your experience. Thank you Les. I will be happy if my book and experiences can help motivate others to follow their passion and “seize the day”. 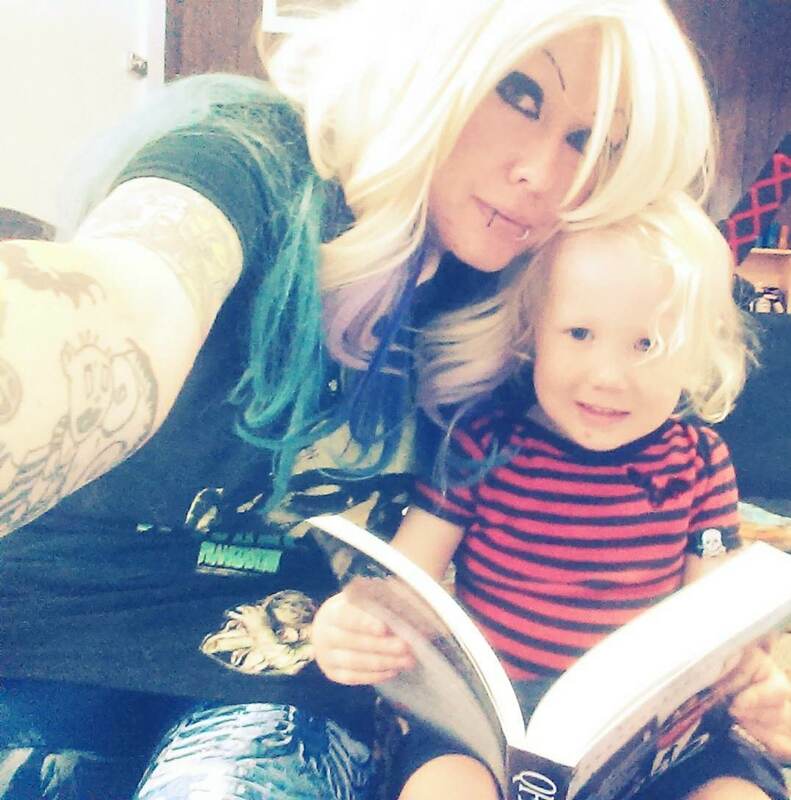 Parents – nurture your children. Read to your children. Tell them stories because the narratives in successful stories mimic the paths to success in life: Challenge-Failure, Enlightenment, Development, Challenge-Success. Don’t push but support. Let your children create their vision for their future. Stop being disappointed with the children you have and love the ones you’ve got. Support passion, experimentation and growth. Don’t do it for them but help show them the path and then let them fall, get dirty, fail, experience the challenge of effort, and to finally experience the thrill, reward and dignity of success. Effort is the entry fee to success. Through effort comes confidence. Through confidence comes courage. Through courage comes fearlessness. Through fearlessness comes contentment and success. I am sure that Dad would have echoed these words 45 years ago! 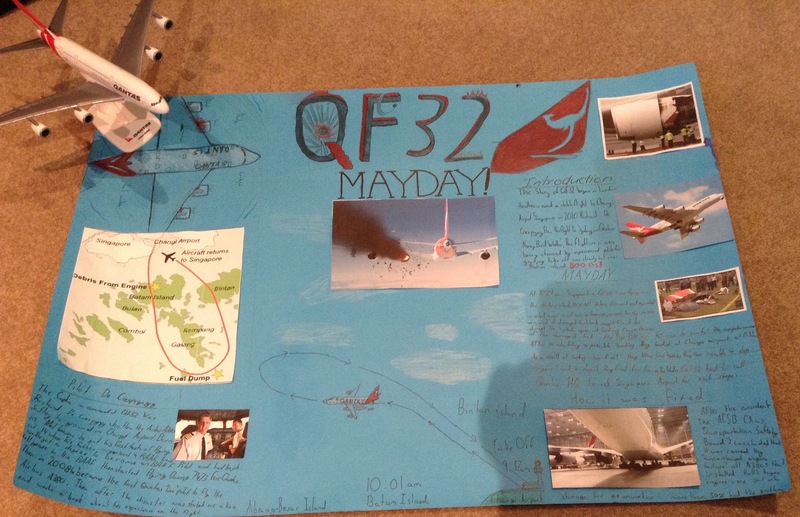 I am astounded that my story of “QF32” has influenced children as young as three years old. I am amazed and pleased to discover that three year old children opening non-fiction books! I list below some of the letters and eMails that I have received since the book has been published. These messages are “food for thought” for parents and educators. Mars’ and Oliver’s stories (following) show how a young child’s mind can focus on and develop knowledge in conceptual subjects such as aircraft, engines and engine failures. These children are arranging thoughts, perceptions and anticipations at an age slightly older than when they first learn to speak! Mars’ and Oliver’s stories support the theories (Scammons Curves) for the capacity for rapid growth during early child development. Mars and Oliver prove my theory that great things happen when motivation meets capacity. 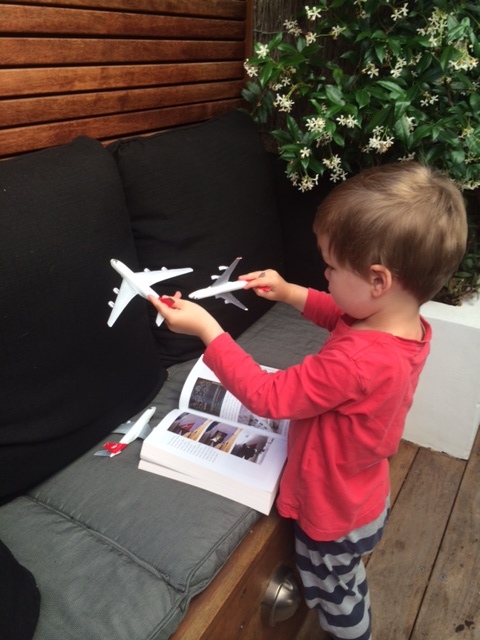 You have no idea how much [your QF32 book] has meant to my son! 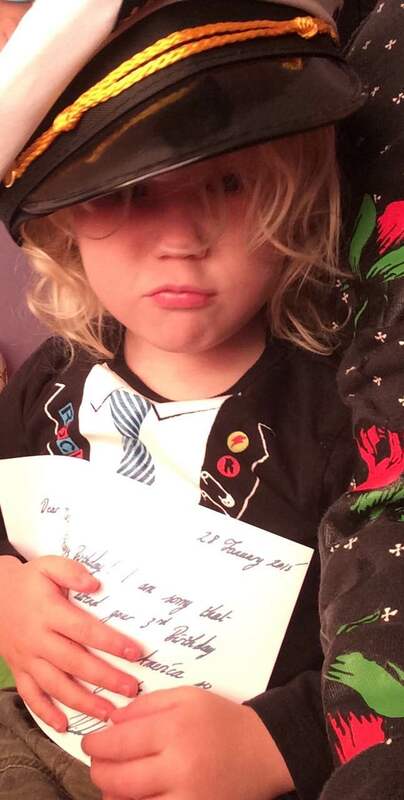 He was over the moon, and has told everyone at “School” that “my friend Captain de Crespigny wrote in here for me and Mommy!”. He carries the book everywhere in a special little case (it’s still in pristine condition). 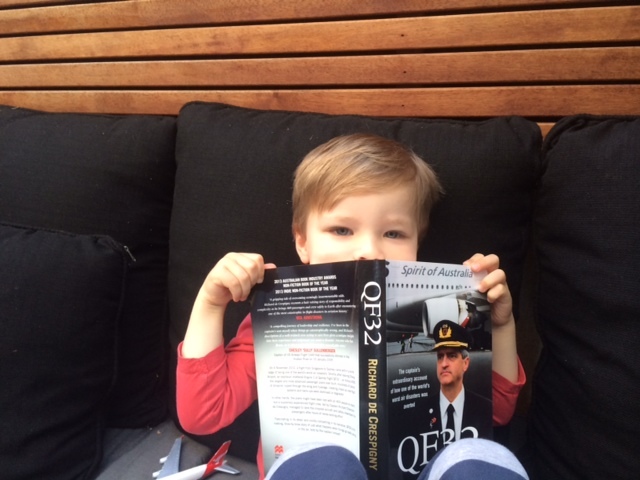 Your book “QF32” has made a substantial impact on our little guy. Young three year old Oliver is constantly flying around the house saying he’s Qantas A380 and he needs to get Engine 2 fixed. 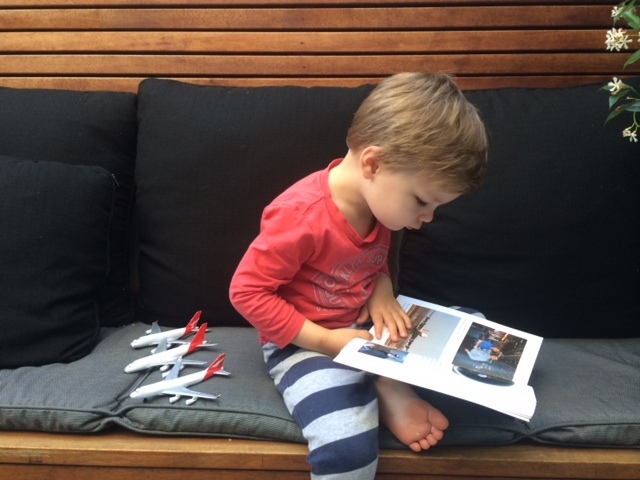 He is totally fascinated by flying, Qantas, A380’s and I think he’s your number one fan. I asked him what message he wants to give you and he simply said “I love you captain Richard”. 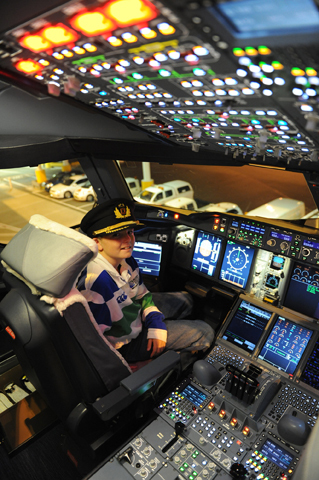 Etihad Airways made 6 year-old Adam a Pilot for a Day. His knowledge exposes his incredible dedication to aviation and the Airbus A380. Richard your biggest fan ( though very small) is in my house in Nederland, Texas. This is my 5 year old son, his name is Adarsh. He loves aero planes and can guess any model/make with just a look. In fact, I got to know about you only through him. He watches you daily and aspires to be [a pilot]. Adarsh is crazy about A380s and A340s. From the time he saw the QF32 video on YouTube, it’s become a daily story during our long drive to school. Initially it was only him narrating the story, now Adarsh feels I am trained enough, so both of us narrate one line each. I enjoy watching him explaining to me the water ingestion test, tail strike test etc. I really get carried away by his knowledge of the aeroplanes which is his passion. He wants to be a pilot like you and I am proud of him. … thank you for my book. It was a great surprise! See you in the skies. Captain Edward. Tyne Jones in his pilot’s uniform. Tyne Jones is planning his own Australian regional airline. He has appointed his friends into positions of management and flying duties. Here is a picture of Tyne with Coral and me taken in October 2015. Good luck Tyne! Daddy organised something good for me today. We went to Sydney Seaplanes and I went inside a real airplane for the first time! I sat in the pilot’s seat and used all the controls – it was great! Here is a photo of me in the Pilot’s seat of a de Havilland Canada DHC-2 Beaver … it was built in 1947. I used all of the flying controls – ailerons, elevators – and even the rudder ! And here’s me in the pilot’s seat of a Cessna Caravan C208. It was hard to reach the pedals ! Here is my school project. I got a choice of any topic and I chose your QF32 incident. I got 10/10! It was great to meet you at the airport after your flight. It’s difficult to know where to start describing this inspired young woman. Eve is self motivated. Using her own words, multimedia, energy and social media, she raised the profile of David Warren (inventor of the “Black Box” flight recorder) and gave him the recognition that he deserves after his death. No one could wish for a more fitting reviewer/biographer of their life than David Warren. 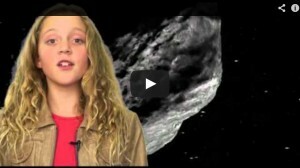 You will no doubt come to meet Eve as she continues to develop and challenge the status quo. Don’t get in her way! Best wishes Eve for wherever your passion takes you. 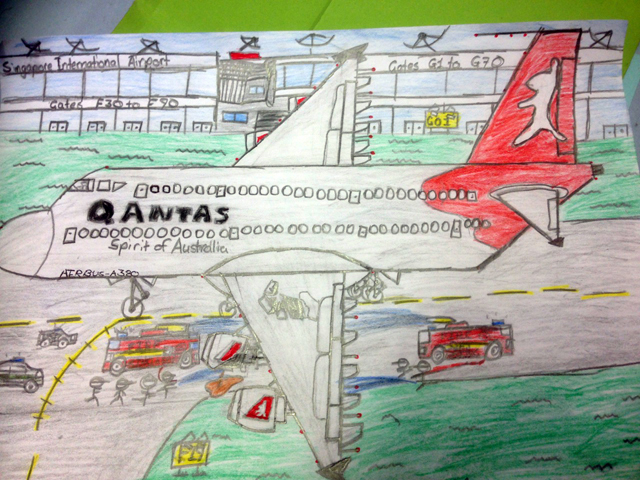 Thank you Rojan, a year 6 student at Penshurst Public School for this excellent drawing. Dear Richard your book is really inspiring i hope to be a pilot one day i am 12. I am a 12 year old, who wants to be a pilot. After reading this book, i felt that the way that you had handled the situation onboard QF32 was highly professional and i also liked the way you described your flying. it was the best book i have ever read! Thanks for writing this book, and i will be buying ‘Big Jets’ soon. .. i am 12 years old and want to be a pilot when i grow up ..
i have just read you book and it is amazing. 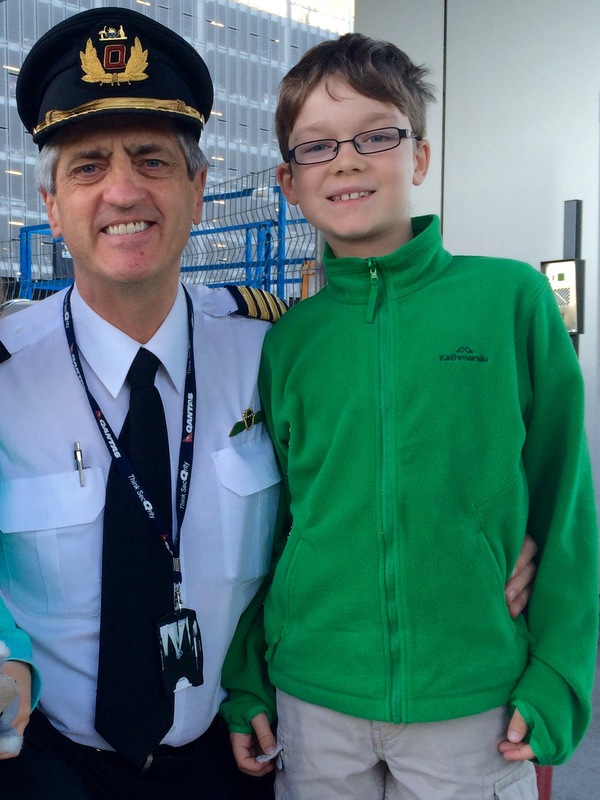 i am 12 years old and want to be a pilot what i grow up. please tell me if you fly from perth to sydney please!!!!! .. you made me want to be a pilot even more! Sir, you’re my role model …. Furthermore, you made me want to be a pilot even more! 100% inspiration and 900% hard work and love of flight! This year I’m 13 so I’ll be joining the Air Cadet in Brighton. If possible, could you help me with everything to join RAF when I’m older, like sending me tips and answering my questions, it would be a great privilege and honor if a skillful and experience pilot were to help me. Thank you. An awesome book even for a 14 year old! It has so many great lessons for every grade of pilot! I thoroughly enjoyed it, thank you Richard! 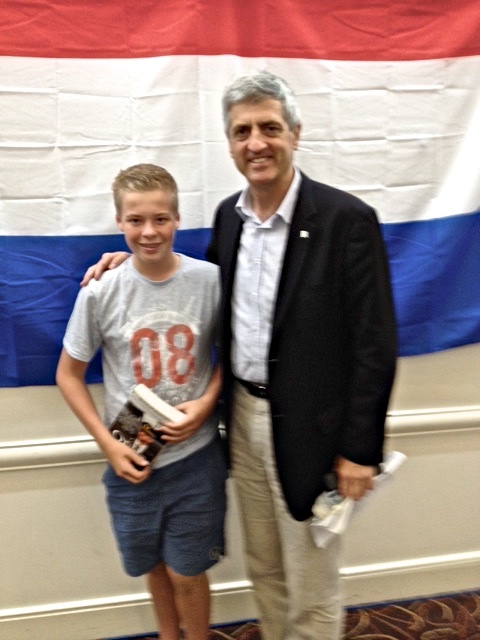 My name is Jack Woodman, I met you at the Uiver Memorial Presentation in Albury last year. 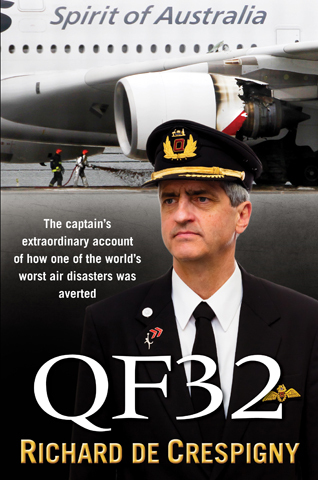 Reading your book was nothing compared to listening to you talk about QF32 in detail. It was almost like we were behind you in the cockpit, observing as you and your crew brought back the Nancy-Bird Walton. For Christmas, I received a gift card for a trial flight at the Riverina Aviation College, and today I went out to the airfield to give aviating a go. The weather was perfect, and although the compact size of the Cessna 150 had Mum worried, in no time I was up in the air. It was an amazing experience! The little plane was blown about a bit, but like a boat in waves it kept going! I soon had a feel for the aircraft, and after a while was able to bank and then level off without much trouble. I am going for another session next week, where I will receive a BAK study kit, which hopefully I can juggle with school work! Thanks again for talking to me last year, you have inspired me and stopped any doubts I had about a potential career in aviation. Best wishes, Jack Woodman. Rich, last Saturday, I finished my eighth hour of training, and have completed Straight and Level, Turns, Climbing, Descending and Stalls, and am currently working hard on my circuits! It has been quite an adventure, and have made some great friends along the way. I am currently 14, and my goal is to make my solo flight on my 15th birthday, however that depends on how well I develop my hours and skill level over the next four months. Last week I received my ARN, and have booked a Class 2 medical test with a CASA certified doctor. My study for RPL has been challenging, but no doubt beneficial. My early struggles to complete checklists in a perfectly working aircraft pale in comparison to what you and Matt tackled on the Nancy-Bird Walton! One rainy day recently, ATC disallowed our takeoff, so my instructor and I went back inside to wait out the storm. We ended up talking about your amazing book, and he mentioned that he flew with you. His name is Grahame Carroll, and he wanted me to say hello to you for him! Rich here’s my update on my aviation adventures! During the Christmas holidays, I attended a week-long RPL BAK course at Riverina Aviation College. It was very hard work, and at times I had my doubts, but I ended up passing the exam at the end of the course. I was happy with my result and am glad to have that out of the way! My flying has progressed well, and on my 15th birthday I completed my first solo. Usually my flight school aims to surprise the student, however we had the goal to try and get up there on my birthday. I completed some circuits in the C150, before my instructor called a full stop and jumped out at the holding point. It wasn’t until the centreline lined up in my vision that the nerves really kicked in! (Although mum thinks she was more nervous than me!) It was a very quiet day, so the ATC was kind enough to let my parents watch my circuit from the tower. The circuit itself was not eventful, and I mangled to come down without a scratch. Thanks for your emails, support and encouragement. It really meant a lot to me. Many thanks, Jack. Education is the first key to resilience for every person on planet Earth. Never underestimate the profound difference that teachers make to our lives. In “QF32” I described how my teachers helped me gain sufficient school marks to qualify for the Royal Australian Air Force. I owe you all a lifetime of thanks. It was my privilege and pleasure to meet Mr Nigel Creese, my school headmaster 42 years ago and show him my A380 workplace. Safe Travels Mr and Mrs Creese! Mr Nigel Creese, in the A380 cockpit, July 2016. I’m not here to ask for any tips because I understand you’re a busy man. I’ve been through your website multiple times, I’ve watched the documentary on your #2 engine failure which was amazing at how you reacted. Captain, I’m a 17 year old currently in year 12 in New South Wales. I used to lack basic arithmetic and physics concepts. When I knew I was 100% committed to becoming a Pilot, I’ve been doing all I can to up my skills. I downloaded a book called “Maths for Pilots”, and day by day I review the same topic until I understand it completely. The motivation from this came from you, and I want to thank you deeply. No body wants this more then me, so much has happened in my life Captain but I’m so driven towards this goal. I received my ARN yesterday, and in exactly one year from today my flight training at Basair Aviation College begins. Thank you once again Captain, for inspiring me to be focused on my goals and to gain a more knowledgeable understanding of Aviation. You are proof that passion, motivation and perspiration are all you need to succeed. You will have a happy and fulfilling life if you continue to apply your energy and skills to life’s challenges. I’d like to say that I’ve known you since I first read QF32 after getting it out from my local library. Without a doubt the best book I’ve ever read – hence, when I had to return it to the library, I went out and bought my own copy for my bookshelf. After reading your excellent book, I’ve been inspired by you to chase my dreams of becoming an aviator! I view you as a large role model and it is because of you, my faith remains that I’ll make it into a cockpit regardless of my families financial position. It may take years more but I’m committed and determined to get there – whatever it takes! Thank you Richard for being such an inspiring role model to me. Going into year 12 now, I have the motivation from you and QF32 to give it everything I’ve got! I cannot wait to read Big Jets. Thanks for your kind thoughts Travis. I feel very proud if I can a motivate young potential aviators, just like you! That was the purpose of my book. Please read my document that details prospects for your future career in aviation. It’s a living document and I hope it continues to help you. Aviation is a difficult and hard career, but the rewards are priceless! Please keep me informed with your progress. It is evident that your story has inspired many future and beginning pilots. I think that we, athletes, have a lot to learn from aviation and your story in particular. As I reread my sport psychology notes, a parallel between aviation and sport is in my mind. My coach presented us with the following points about competition: “stick to your routine; retain control over your emotions; remove all judgement; redirect negative thoughts into your strengths and what you have to do; focus on your actions; treat fears as a challenge, not obstacle; have faith in your training, strengths, and abilities”. You and your crew, both in the cockpit and in the cabin, did all this and more on board QF32. Your “glass half full” approach is exactly what we need to adopt, as there is always something wrong on a competition. What you have written about Disabled WinterSport Australia is also a great inspiration. What those athletes are able to do and overcome is most remarkable. Hearing/reading about stories like these encourages me to continue pursuing my dreams in dance despite everything that has been happening. Your book was a complete inspiration on many levels. Is the ‘code cadets‘ link active on this page, as the hyperlink does not work. 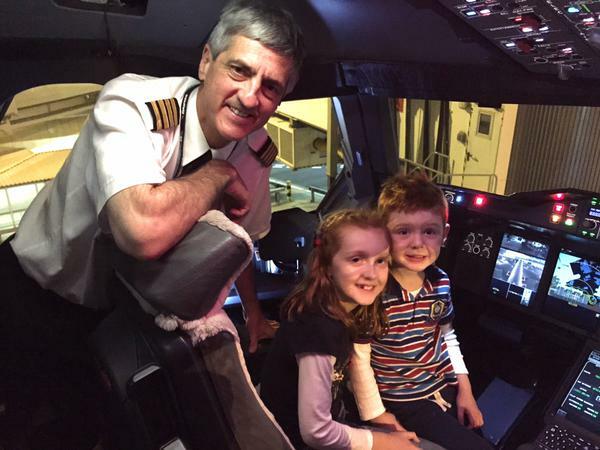 Certainly seems like you’ve motivated quite a few potential young aviators Richard! I liked Sam Clancy’s letter … some very pertinent comments. Thanks Rich. If you were to come to NZ on a speaking tour we would be there for sure. Glad you have passed your Sim tests. I have thoroughly enjoyed your book. 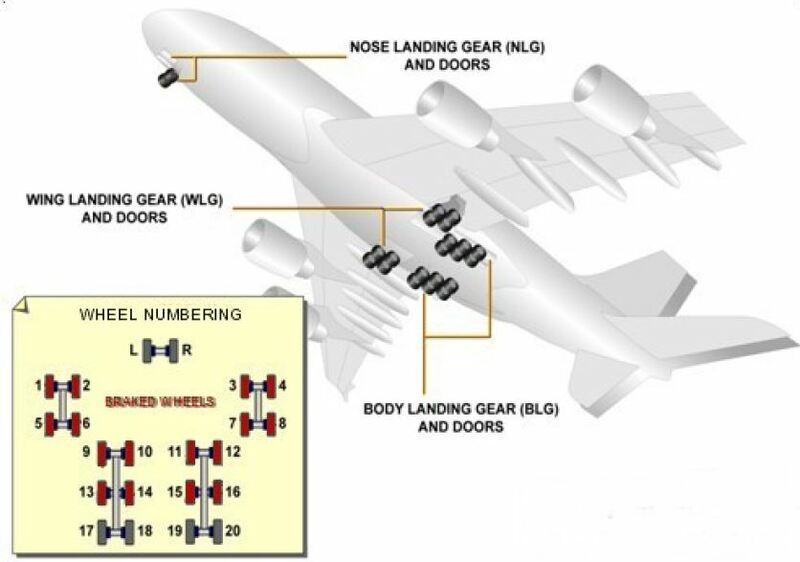 You have included easy to follow technical detail for non-pilots to understand. I like the fact that you have written with your heart on your sleeves and not let the PR people edit stuff out. You are not just glorified bus drivers – all that training is extremely important. It’s great to have an insight into how much study and effort is reuired to be a pilot. I also enjoyed your views on politicians and sharing about your family. I did not have the opportunity to be a pilot but am an avid reader of Australian Aviation and others. My 20 year old son wants to fly. He is studying Radiography which is great, as he has a skill to fall back on and in-depth knowledge of physics. I would appreciate any help in helping him follow his dream. Dear Steve, Thanks for your kind thoughts.